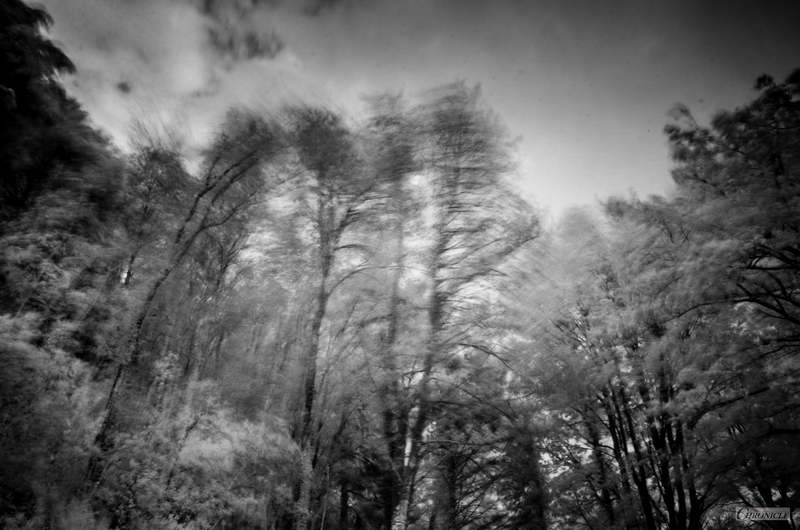 A Blustery Day [I] | 850nm IR | 24mm. 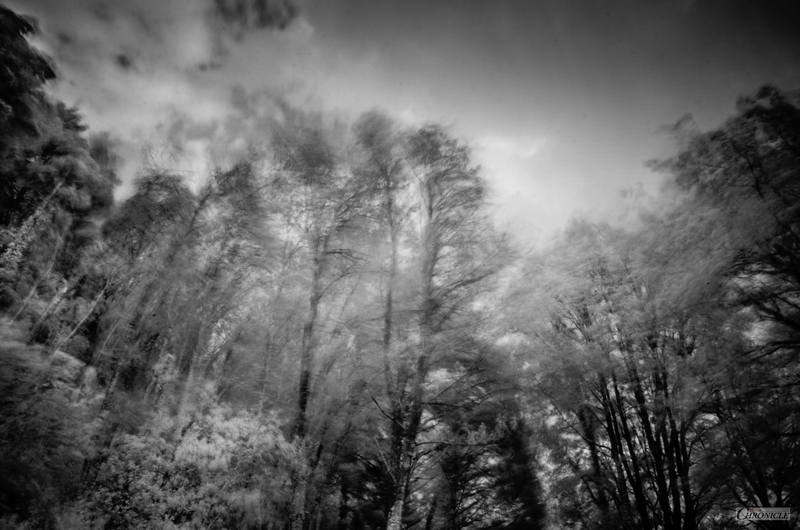 I must have looked a right sight, standing outside in my dressing-gown and walking boots, camera on the tripod shooting the trees amidst 80mph winds. As the rain came pouring out of the sky, I had managed to bag just a few frames. Currently, thanks to the storm and the many trees that have disrupted power-lines on their way down to the ground, there is no wifi, no electricity or hot water, everything is running off remaining battery power, now – and I daren’t even open my fridge door. As for travel, it can’t happen today. All local roads are blocked by trees. So, I console myself with these captures – in temporary, rural isolation. They’re not great captures but, the best I could get before the heavens really opened. Mad-dash photography… I’ve had better luck! That’s all for now; I want to get this posted before my battery runs empty. A Blustery Day [II] | 850nm IR | 24mm. That’s wild, much calmer here in Norfolk. Hope, you’ll see and it will be ok.
Be careful tomorrow then. I wish it won’t be worse. I’ve never seen such things. Everywhere I lived were rather calm places. At least calm as to nature. It wasn’t very safe to live in Moscow though. There were hurricanes in Moscow, but Moscow is so big, and none of the people close to me were touched by it, so I even forgot about it, you see. In Moscow, nature is not as dangerous as people. I can’t like it, Robert. Hope, everything will be fine soon. Take care.